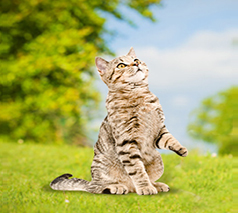 Worried about your Cat, well don't be..
Ranpura Farm cattery offers web cam access to all customers included in your daily price, this gives you the option to check-up and view your cats while away from home, anywhere in the world. Using your mobile phone, Ipad, PC or laptop you can log in via our website. Just ask us for this option when you drop your cat off with us and we will provide you with your own log in and password and a link to the site to gain access. Not only has Ranpura Farm fitted ip cameras, we can also update you by email when your vaccinations are due so that next time you go on holiday you do not forget. Are you another Cattery Looking for live web cams? If you are another cattery looking to introduce live web cams to your business then we can help. Ranpura Farm Cattery can offer a bespoke system to link with your website and if need be can install the cameras for you. We can also offer on going support, for more information please contact us to discuss your requirements.